Hi. 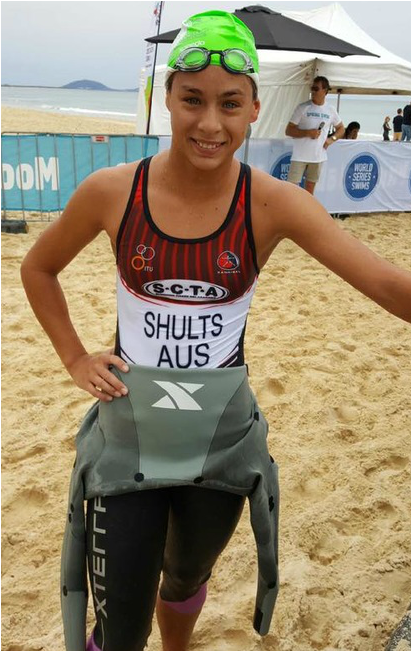 Kaya Shults and I cannot be more excited and thrilled to be recognised as the SCTA / Protector Aluminium Junior Scholarship recipient for the 2016/2017 season. It is an honour to be given such an amazing opportunity to work closely with head coach Toby Coote and to work towards my goals for the upcoming season. 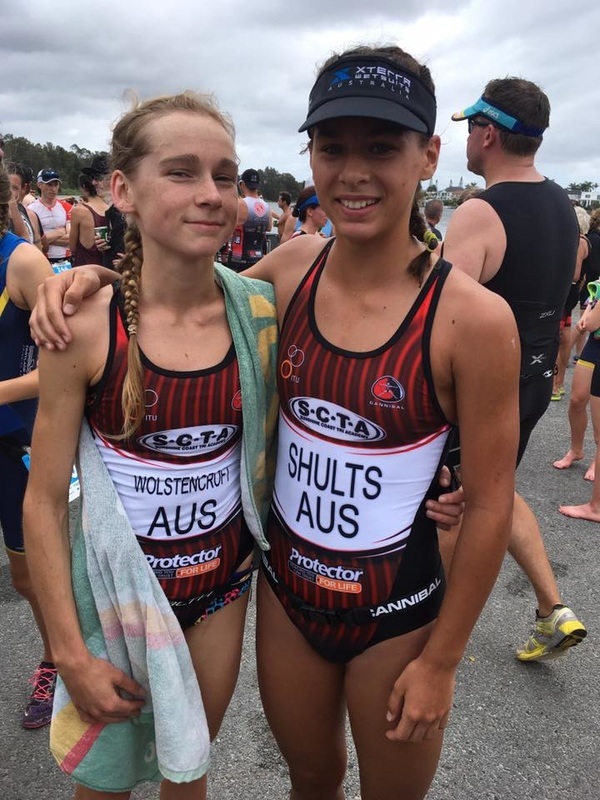 I am 15 years old and started triathlon about 4 years ago. I was just over 11 when I did my first ‘real’ triathlon. It was the enticer distance that was part of the Cairns Airport adventure festival. I didn’t have one of those fancy bikes with the weird handlebars and skinny wheels and I certainly was trying my best not to drown. It took a bit of convincing before she signed me up for it but it was definitely worth it. I enjoyed every single second of it and all I wanted was to do it again. I also joined the Cairns Surf Life Saving Club where I basically learnt how to swim. Never had I imagined that I would confidently swim around the 400m course let alone be racing it now. I always had special guidance during the Sunday training sessions and I was always that kid who came in dead last at carnivals: I hated it but now I love it. My dream of being a triathlete was overpowering. A year later, on my birthday I had my first road bike. I rode every Saturday with mum until we heard about a local training group run by volunteers and decided to turn up. 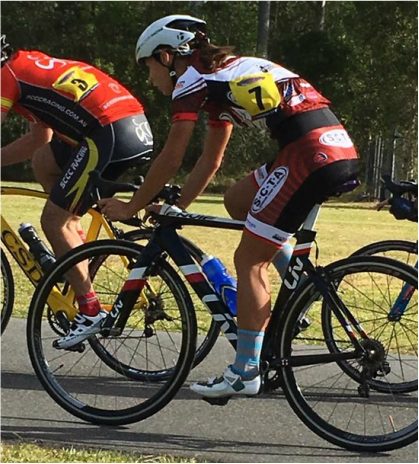 I did my first bricks session wearing my bike clothes. I even made the regional team twice! Another year passed and the coach moved away so my dad stepped in and started running the sessions. I grew more confident on my bike as well as swimming. 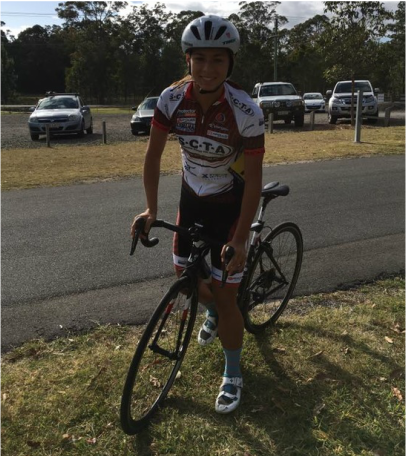 I had qualified to represent my region at the Queensland State Championships again only for it to be cancelled by a cyclone. I admit the sport is already expensive enough let alone flying back and forth from Cairns all year. It was announced a few weeks later who would be representing the state at Nationals, and I was on the list! I was so excited and it just made me more focused on my goals. But once again it was very expensive to go. I didn’t get to go to the meet and greet and I had to fly down to Brisbane myself to catch another flight to Sydney with the team. After the race I made some great friends but due to financial reasons, it was cheaper to catch a flight all the way to Cairns from Sydney than to fly to Brisbane first. It was like that for the whole year, flying back and forth. Until finally, we made a family agreement to move to the Sunshine Coast in December of 2015.